Our ticketing and will call system includes pre-event online ticket sales and will call access, ticket sales and will call during the event, and detailed reporting and analysis features both during and after the event. By using our point of sale system as a front end, your ticketing operation unlocks a variety of inventory control and forecasting features in addition to a staff presence on site to help manage the ticketing area and interface with volunteers. Our volunteer- and novice-friendly point of sale system makes a great first impression on your guests by making the ticket sales process quick and painless. The full array of inventory management, sales prediction and analysis tools available for merchandise operations are there to help you through the entire ticketing process. While the ticket sales area is open, our staff will be positioned in the point of sale area to answer questions for cashiers, assist chairpersons with shift changes, handle special sales and keep the register area tidy. 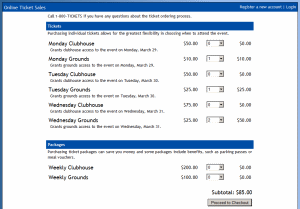 Our friendly online ticket sales website streamlines the ticket purchasing process for customers. Orders can be printed online (see below), routed to will call or marked for traditional fulfillment and shipping. The ticket sales page can be themed to match your event's web site and all transactions are handled through an encrypted channel. Offset costs using a variety of advertising options, including on-ticket advertisements, leading and trailing full-page ads included with electronic orders and on-site banners. Many events donate revenue to charities and the charity drive feature integrated into the checkout process, as well as a variety of financial reporting and export options, make the process quick and easy for your customers, staff and the charities involved. Run a variety of promotions, including percent-off and amount-off discounts, free shipping, and free tickets or packages using the promotion management tool. Save printing and distribution costs by allowing customers to print tickets at home. 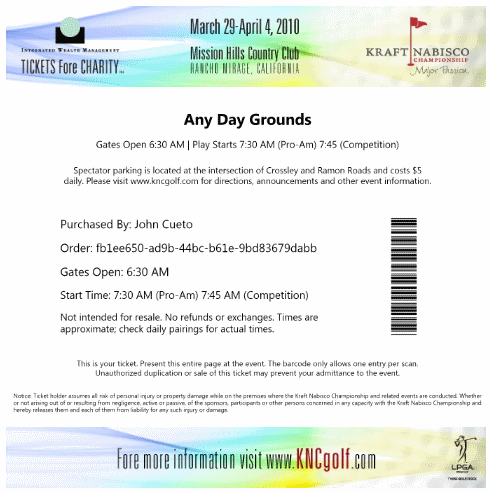 Customers can print immediately or download a PDF of their order to print at a later date, and the link to download their order will remain active until the event ends. The system integrates directly with our access control devices to prevent counterfeit and duplicate tickets. In addition to the full suite of point of sale reports, the ticketing module contains multiple tools designed to make managing tickets, ticket packages, items, will call reservations and online ticket sales a straightforward task. Tickets can optionally be associated with one or more seating areas, each of which can contain an unlimited number of seats. Customers choose seat assignments through a simple, friendly interface and the system will automatically track and disable full seating areas. We'll assist with ordering of traditional tickets, and ordering and fulfillment of wristbands, including on-demand printing during the event to reduce costs and waste. Choose between mass-printed batches or individual wristband printers at each register or use our value option and print scannable stubs directly on the receipt printer. Our web-based will call system eliminates the need for pre-pulling tickets with detailed stocking and activity reports and reduces staffing needs, costs and waste. 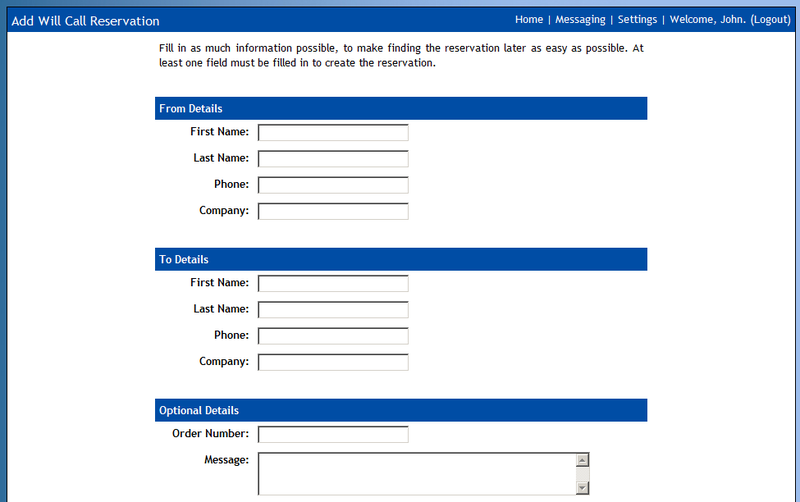 Reservations can be left or searched for on multiple criteria and may be partially picked up - with the rest of the order remaining in the system to be picked up later. The credit system allows you to assign point values to tickets and ticket packages and guests, players, staff, or partners can redeem the points at any time for their choice of tickets via the website or any on-site will call locations. Anywhere with an internet connection can be a fully-functional will call location; no more shuttling tickets to a central location or passing orders over the radio from site to site. The will call software synchronizes on a regular basis and has a special offline mode in case of an internet outage. No registration, no clicking around. Just pick your tickets and delivery method, check out and you're done. 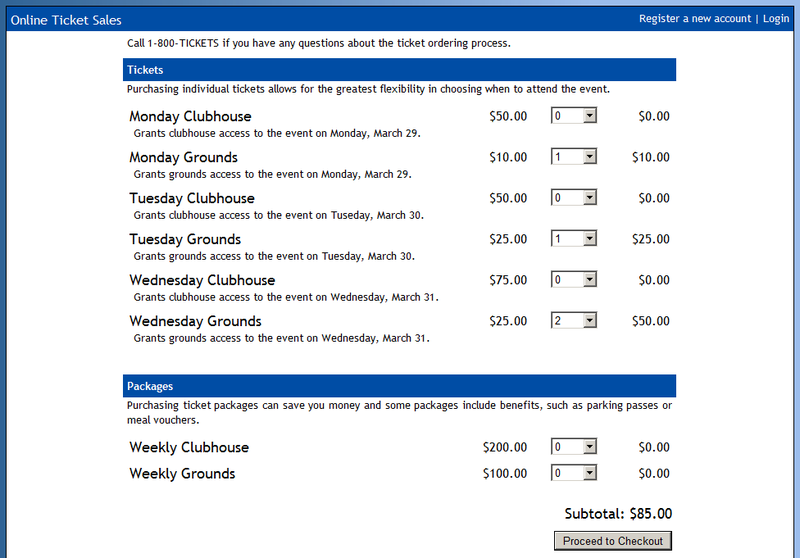 Electronic tickets are 100% customizable for your event and every ticket type can have a unique look. 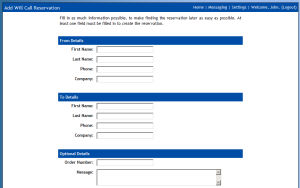 Designed for volunteers and novice users, the will call interface is friendly and intuitive.